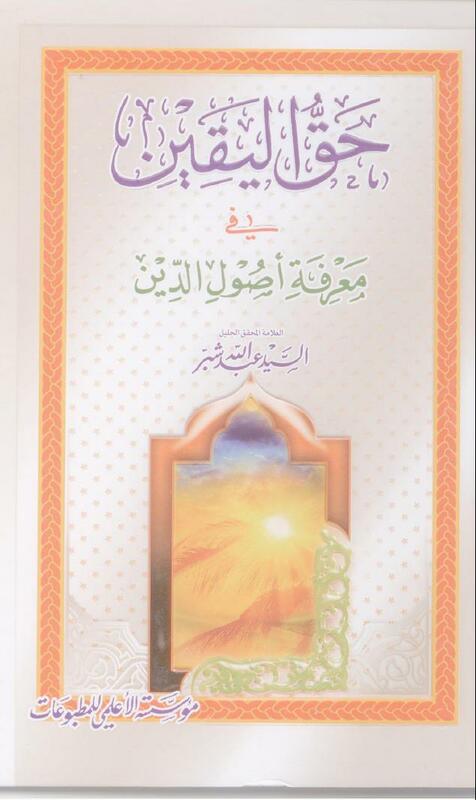 Book: Haqqul Yaqin fi marifatul usul ad-Din. As for others than shia imamiyah from opponents (see sunnis) and other sects of shias from Zaydiyah, and al-Fatihiyah, and Keysaniyah, and Nawusiyah and others like them, if they denying some obligatory (things) from religion, THEY ARE DISBELIEVERS, IMPURE, (WHICH) WOULD STAY IN FIRE FOREVER. Like Khawarij, qhulat and nawasib. The love of ahlalbayt from obligatory (things) in religion of Islam, and in this way al-mujasimah and those like them. As for other opponents which are not nawasib, and not defying and not showing prejudice, then (view) upon which is number of Imamiyah like Sayid Murtada, they are kuffar in this world and hereafter. And (view) upon which is famous majority they are kuffar which would abide (forever) in hereafter. 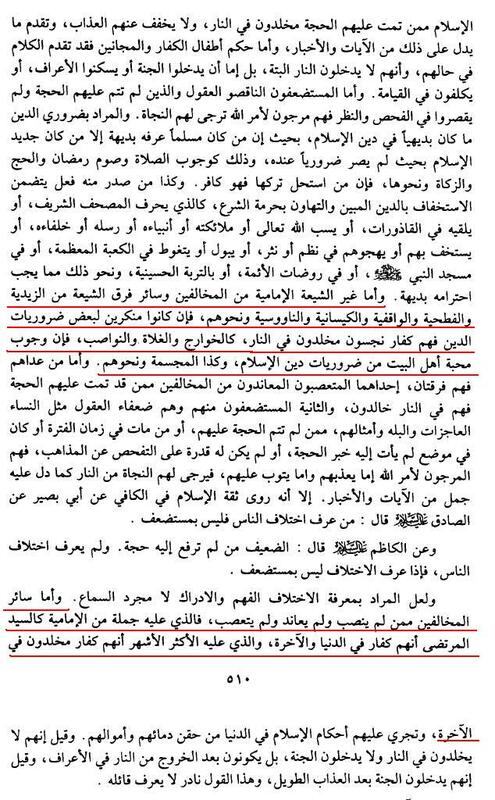 This entry was posted in Non-Shias in the light of Shia books & scholars and tagged Takfir by Gift2Shias. Bookmark the permalink.